We’re adding support for Atlona HDMI Matrix Switchers to RNET. 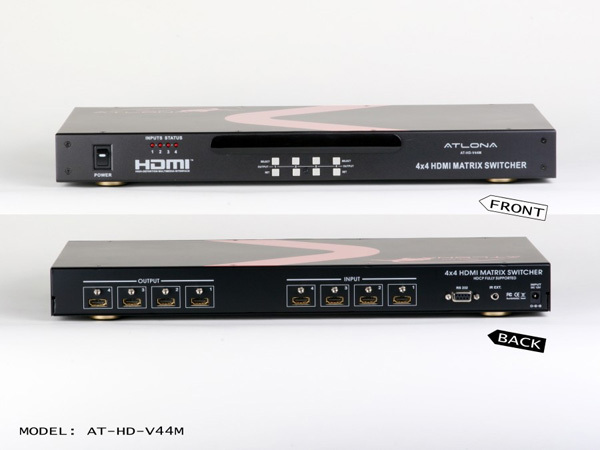 This includes the following current shipping switchers: AT-HD-V22M, AT-HD-V24M, AT-HD-V42M, AT-HD-V44M, AT-HD-V88M and their PRO lines: AT-PROHD44M-SR, AT-PROHD48M-SR, AT-PROHD88M-SR and AT-PROHD1616M-SR. These devices will be supported and released in the next HDMI Switcher Firmware update.